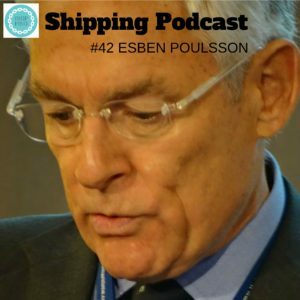 Mr Poulsson has worked in the maritime industry for over 40 years. He spent 20 years with TORM A/S in a variety of senior management positions in Hong Kong, London, Copenhagen and, most recently, as President & CEO of TORM Singapore Pte. Ltd before stepping down in December, 2009. He was elected President of the Singapore Shipping Association in June 2015, of which he has been a Council Member since 2007. He also serves on the Board of the Maritime & Port Authority of Singapore (MPA), is an Advisory Council Member of theSingapore Maritime Foundation, and after having served as Vice Chairman of the London based International Chamber of Shipping, on whose Board he represented Singapore, he was elected the Chairman of the Board of the International Chamber of Shipping in January 2016. We are also on Facebook, Instagram and Twitter if you want to reach out! Love comments & shoutouts!